Undoubtedly our most significant improvement, the new Design Mode simplifies page management making it fun and easy. Â Design Mode empowers you with in page editing so you see your changes as you make them. You no longer have to stumble through the menu system to find the applicable management page. Design mode allows you to edit everything in the page. With the click of your mouse, you can add, edit, and remove Widgets (formerly referred to as Mini Browsers); select different design templates, edit content, and drag and drop Widgets to rearrange the layout. You can even add Widgets to the main feature content sections of your pages. 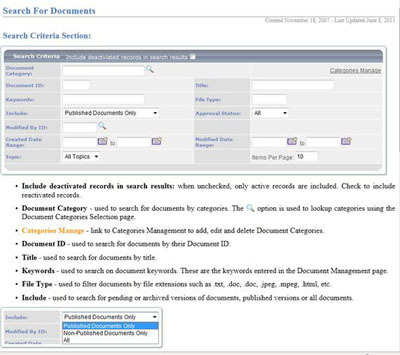 For example you could add a request form to the bottom of a document or a product detail page. There are currently two new standard page template designs that support design mode. Each of these standard page template designs comes with hundreds of Widget Templates, providing a wide range of colors and variations in layouts. The new design mode supports table-less templates. 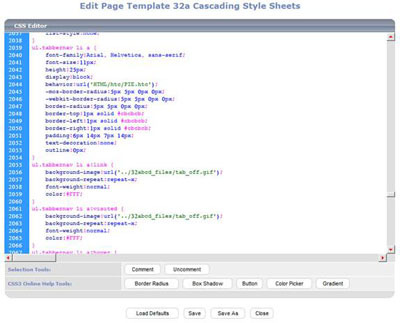 Templates without tables can be easier for search engines to crawl. They are also easier to maintain and generally render quicker in the browser. Custom templates must be rewritten to take advantage of the new design mode. Contact us about having your custom template converted. If you have had trouble with your Page settings in the past you will be happy to know that we have reworked the code to make them behave better.Â For example weâ€™ve eliminated the ability to create Profiles with duplicate names. Â Weâ€™ve also eliminated the problem where every time you saved a document it created a new profile. Using Page Type Manager you can now create an unlimited number of Profiles for each page type and easily manage them. You can also remove Profiles that are no longer being used. We are in the process of adding help to every administrative page. Simply click on the ? Help icon located in the administrative header to get help for the page you are on. Portal Prodigy just got a whole lot easier to use! You can now add and edit list box values from any updateable list box directly in the page where the list box is displayed. 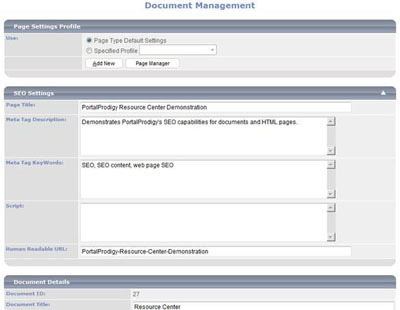 This eliminates the challenge of locating the applicable management page. It also eliminates the hassle of leaving the current page youâ€™re editing to go to the list box management page and then returning. To add a value to a list box simply click on the list box to highlight it as indicated by the red arrow in the picture below. If the list box is updatable the List Box Editor will display the field name as indicated by the green arrow in the picture below. Some list boxes are not updatable because their values are hard coded in the system. Next click Add Value in the List Box Editor. This will open the applicable management page in a new browser tab. When finished adding the value, be sure to save it then close the tab. Now click Apply Changes and select the newly added value in the list box. To edit a value first select the value in the list box then click Edit Value in the List Box Editor. The value will be opened in a new browser tab in the applicable management page. Change the value and click save then close the tab. Click Apply Changes to update the selected value. Keywords duplicated in your URL and Page Title can have a big impact on traffic from search engines. PortalProdigy will automatically generate them for you or you can define your own. PortalProdigy also automatically generates permanent 301 redirects for your old scripted URLs to the new human readable URLs in order to preserve your existing page ranking. 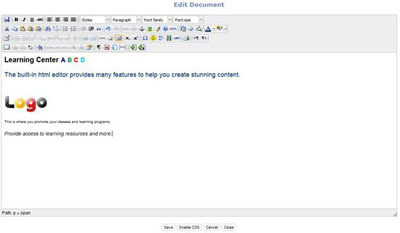 The new editor provides a richer set of features for creating and editing your website content. Features include Spell Check, Use of Templates, Inline CSS, Microsoft Word cleanup, and more. See the online help in the Editor for a detailed description of the editorâ€™s many features. The new editor outputs stable well written HTML code that integrates well within PortalProdigy. For those of you that know how to work with HTML there is an HTML code mode as well. New Sort Option and Product Filtering improve the customer experience. So do tabbed Product Detail pages and automated breadcrumbs. New THTML tags combined with the other changes make it easier to create beautiful templates for your Product Catalog. We have also implemented a lot of seemingly small enhancements that are too many to list. For example we added support to display trademark and copyright symbols within Product Names. The automated Human Readable URL creation process removes the symbols which are not allowed and the Product Search and Site Search ignore them as well. The import and export process was enhanced to accommodate them too. Products can now be included in more than one Widget. Create an unlimited number of Product Collections using the same method as Product Categories. 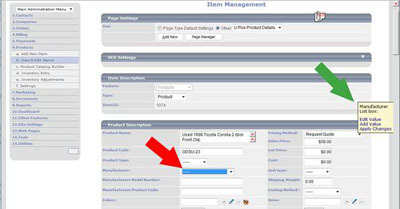 Assign Products to Product Collections from Item Management and using Product Import. Weâ€™ve been working our tails off to eliminate cross browser compatibility issues so you can choose to use your favorite browser to administer PortalProdigy. The new Design Mode and all public (non-administrative) features are cross compatible with the current release version of the major browsers including Chrome, Firefox, Internet Explorer, Opera, and Safari (on Mac and Windows). Requests Feature now supports automated scoring. 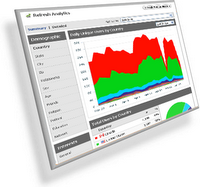 Create tests and instantly display the userâ€™s results. I In addition to standardized testing this is a great feature for creating personality and aptitude tests using Myers Briggs Type Indicators. 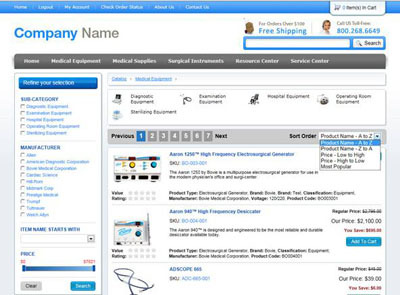 Quickly remove contacts and all related data; deactivate contacts; and remove products and all related data. This feature can be found on the Utility Menu. Easily create a banner with scrolling ads or announcements. Ads can be scheduled by date range to be displayed. Streamline your checkout process and reduce cart abandonment while improving customer satisfaction with our new One Page Checkout. Customers will appreciate the ability to calculate shipping prior to checkout. This is truly one of the most streamlined checkout processes available. The new Template Manager makes it easier to add and edit templates. It simplifies the storage process making all templates available for download as well as viewing and editing online.Â The new Template Manager provides access to manage each templates resource files including private resources and shared resources. Resources include image files, external java script files, etc. The new Template Editor automatically applies color formatting to the HTML to make it easy to read. Although not intended as a replacement for tools like Dreamweaver, the Template Editor is convenient for minor changes. Weâ€™ve added a CSS Editor to PortalProdigy. CSS is the acronym for Cascading Style Sheets which are used to format HTML. Now you can easily edit the CSS for your PortalProdigy Templates. You can edit the existing classes as well as add new ones. The CSS Editor automatically applies color formatting to the CSS to make it easy to read. Comment Formatter - inserts comments in your CSS. Border Radius Tool - creates borders with rounded corners. Box Shadow Tool â€“ creates boxes with shadows, providing a 3D affect. Button Tool â€“ creates customized buttons. Color Picker â€“ creates color codes based on your color selection. Gradient â€“ create customized gradient backgrounds. This CSS Editor replaces Color Schema Manager to give you total control not only of colors but for all formatting including font styles, font sizes, backgrounds, buttons, and borders. A Save As option makes it easy to create new CSS Collections based on existing ones. So experiment as much as you want. Page Settings Profiles can either inherit a CSS Collection or specify one, thus making it easy to customize the formatting for individual pages or sections of your website. Quickly build attractive forms using drag and drop design. 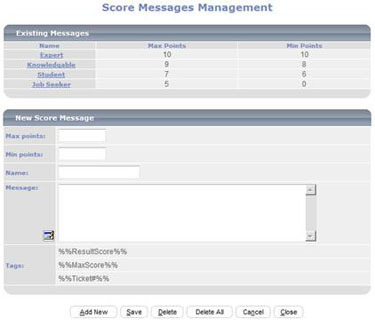 Manage all aspects of your forms visual design including labels, fonts, control types, sizing and placement on the form. The new Form Builder makes it easy to duplicate printed forms online. That's all for now. We look forward to serving you in 2012. 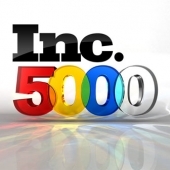 Recognized by Inc. magazine as one of the top 5000 fastest growing companies in America. Our experts are available to help you promote your organization, products,and services. Don't miss out on the action! We'll get you hooked up with a Facebook, Google+, and Twitter page. Â©2000- Portal Prodigy, Inc. Newsletter. All Rights Reserved.